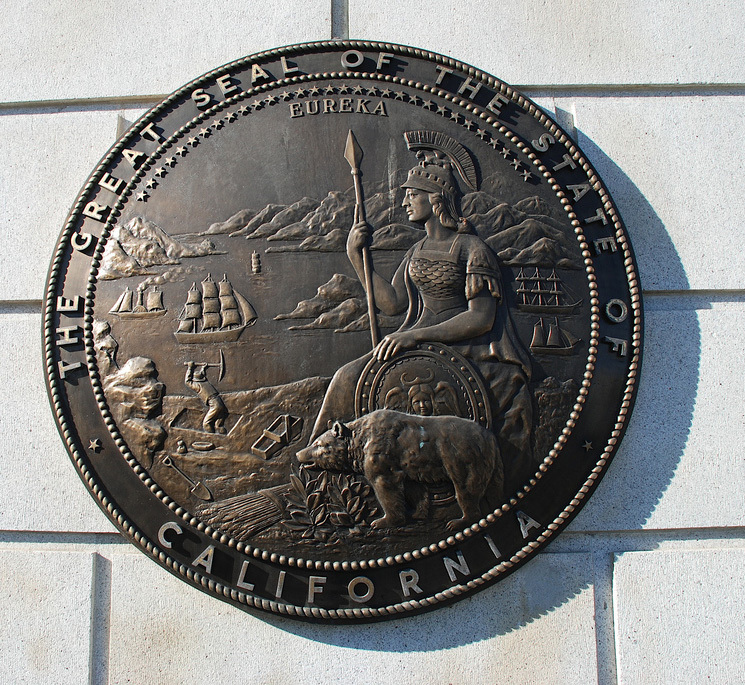 Representation of the great seal of the state of California displayed in San Francisco; photo by James Cridland on Flickr (use permitted with attribution). 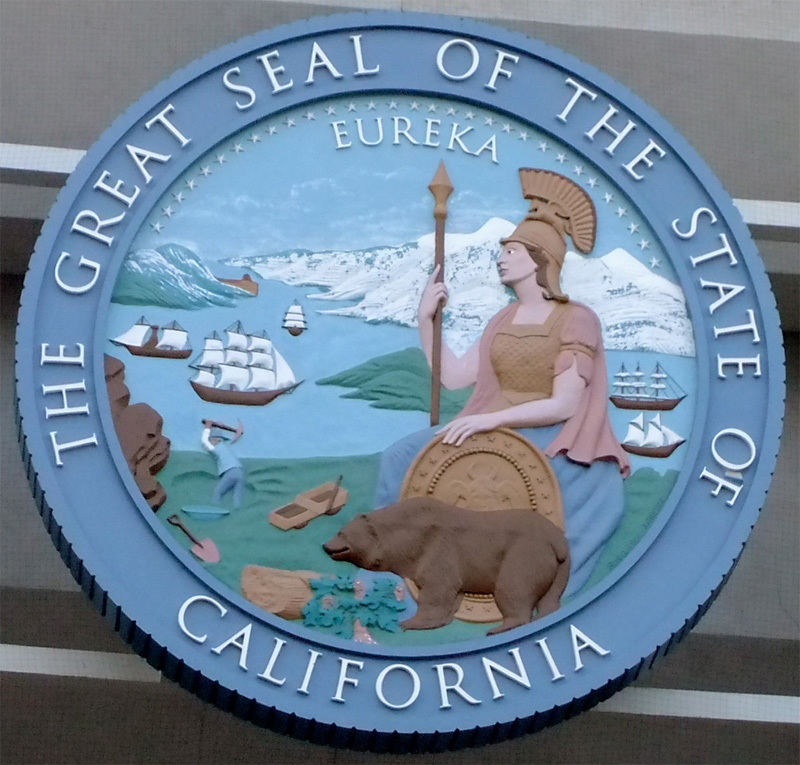 California's seal has 31 stars on the upper edge that represent the number of states that existed upon California's admission to the United states in 1850 (dates of statehood). A grizzly bear feeding on grape vines next to a sheaf of grain represents the abundant wildlife and agricultural richness of California, particularly California's wine production industry (the extinct California grizzly is the official state animal and also appears on the California state flag). Below the Sierra Nevada Mountains, a miner works near the Sacramento River, which is shown busy with commercial traffic. The word Eureka (Greek for "I have found it") most likely refers to the discovery of gold (also the state motto). Minerva, the Roman goddess of wisdom, overlooks the scene. Representation of the great seal of California at the Civic Center in San Francisco; photo by Russell Mondy (vision63) on Flickr (noncommercial use permitted with attribution). 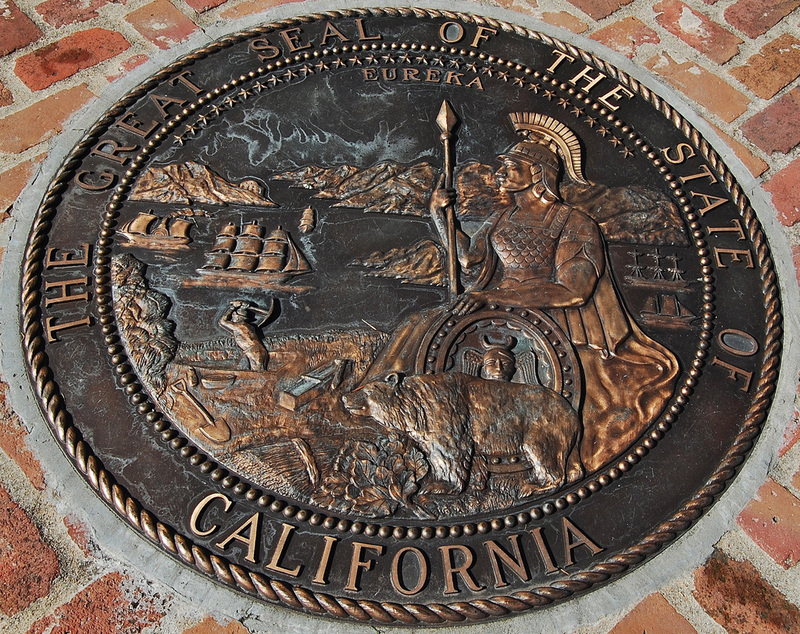 Representation of California's great seal in Monterey; photo by David McSpadden (D&S McSpadden) on Flickr (use permitted with attribution). 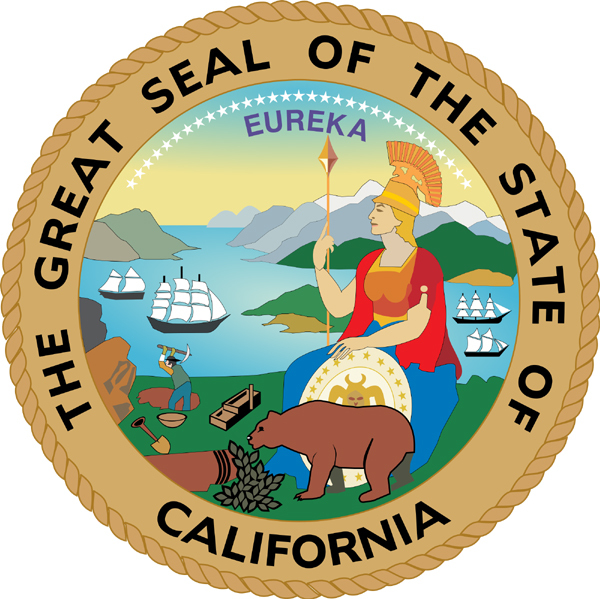 Great seal of California; public domain image on Wikipedia.